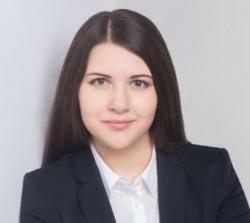 Kristina Chekhovich is a Master of Finance Class of 2020 student. My name is Kristina Chekhovich and I’m currently finishing my bachelor’s degree in business at the University of Mannheim. I come from a small town in the south of Russia, close to Rostov-on-Don, where I received my fist education – diploma in linguistics and teaching. However, I have always wanted to study business and economics in Europe and pursued this dream throughout the years. Having graduated and saved up some money, I chose Germany as my destination, due to its strong economy, friendliness to foreigners, and a long educational tradition with world’s top universities. Thanks to the broad nature of my bachelor studies, I had a chance to get acquainted with different fields of business and economics, which helped me realize that finance is a truly challenging, quantitative and exciting area I could relate to the most. Multiple internships in financial consulting, audit, investment banking and transaction services only confirmed my belief that it is the right area for me and the only one I would like to work in. In order to further deepen my knowledge of the financial world and ensure a competitive advantage on the labour market, I decided to apply for the Master of Finance, which perfectly fits my expectations of post-graduate studies, facilitating skills and knowledge helpful for my future career. I got to know Frankfurt School during my semester abroad in England. The name popped up during company events, assessment centres and was often mentioned as a target university by recruiters of top London banks. I later had a chance to work with FS alumni in Frankfurt – very bright and successful people, who also spoke very highly of the university. So when I have committed myself to starting master’s studies, the question ‘Where?’ was really a no-brainer. Frankfurt School possesses such an impeccable reputation and offers one of the best Master of Finance programmes in Germany and throughout Europe, that no other university came in question for me. Both the application and the admission process went smoothly due to a user-friendly application portal and an amazing support team who were ready to answer all my numerous questions at any time. I just had to fill in my personal information, upload all the relevant documents and letters of motivation, in order to receive an invitation to the Assessment Center just about a week later. The assessment day was well-organized: the applicants had interviews, a campus tour held by current students, and still everyone had a chance to network and get to know each other. Having applied without GMAT, I have opted for an internal test, which was held at the beginning of the assessment day and lasted for about two hours. The admission letter came just six days later! Regardless of the financial path you choose, the programme offers a rich choice of electives to support it! I’m personally considering two concentrations at the moment – Capital Markets and Corporate Finance, or the mix of both. I really enjoyed my internship in investment banking which dealt with corporate finance, however IB is not the area I would like to work in in the future, which is why I’m considering an even more quantitative concentration, Capital Markets, perfect for a career in investment/asset management. I’m really looking forward to the specialized knowledge Frankfurt School will help me acquire, to assuming responsibility in one or even more societies at the university, and, of course, to starting working part-time and receiving hands-on experience, made possible by the 3-Day Model, another amazing feature offered only at Frankfurt School!